Dry Food Labels • Enterprise Label, Inc. Your dry foods should stand out with a vibrant, high-quality food label. After all, the label is what draws consumers to your specific brand and product. That’s why Enterprise Label Inc. uses only the best technology to print your dry food labels. We understand that your label is unique, so we provide a variety of printing options to ensure that your label is fit for your product! We offer a variety of printing technologies for your dry food labels. Our exemplary printing presses are capable of four color processing. Additionally, we can print up to 6 Spot Colors. With beautiful silk screening and thermal transfer as well as direct thermal technologies, we can ensure that your dry food labels will print cleanly and smoothly. 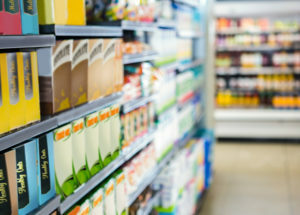 Consecutive barcoding options efficiently print dry food barcodes that will complement your dry food labels and increase customer satisfaction! Looking for Unique & New Dry Food Labels? Contact our expert team to start creating your perfect labels today!